I am twenty-six years old in a banquet room celebrating the marriage of two new friends. I am cutting the wedding cake for their guests, placing the small slices of cake on the plates before me. My husband and nine month old son among the crowd beyond the table. I am eight weeks pregnant behind the banquet hall table. Feeling excited, scared, and overwhelmed about adding another baby to our tribe. The baby I’m carrying and my son in the crowd beyond the table will only be fifteen months apart. I am new at motherhood and at the same time motherless myself. My mother has been gone for twelve years at this point. The point in my story where I find myself behind a table in a banquet hall, the girl slicing and serving the wedding cake. My mother lost her battle to breast cancer when I was young. The combination of newness and motherlessness heavy on my heart during this vulnerable season of holding one baby in my arms while carrying another. As I slice the pieces of cake and place them on plates suddenly, I can feel emotionally in my heart and physically in my body, something is not right slicing cake behind the table. Suddenly I realize, I am miscarrying this baby while I am slicing and serving wedding cakes in a banquet hall. I panic. I am in a room filled with people, but immediately I feel alone. I cannot rush to the privacy of a bathroom stall quickly enough. I cannot sprint although I want to, I am afraid to make a scene. Once I enter the hallway, I cannot even find where the bathroom is located, I am trying to politely ask strangers where to find the restroom behind a false smile on the outside, but inside I am chaotic. Inside, I know I am miscarrying my child. The immediate heartbreak of loss settling in as I find the public bathroom stall. My thought life chanting ugliness, what is wrong with me lies and I did something wrong anthems. I didn’t eat well enough, I lifted something too heavy, my heart rate was too high at my last workout. The scroll of every single thing I could have done wrong, rolling out before me in the privacy of a public bathroom stall. Blame and shame both working together to bring my down into the trenches of despair. I feel the shame, there is something wrong with me. And in this bathroom stall, after blame and shame have given me a good beating, I lead myself to believe I am incredibly alone. I lead myself to believe, I am the only one. I lead myself to believe no one else in this world can bear this burden with me. When my husband comes to me with our nine month old son from the crowd beyond the table, I am already so ashamed of what I feel like I have done. In the few moments in the bathroom stall, I have built walls of self-protection around my heart. I can’t even let my husband come to me. I sit in the car next to him on the long drive back from the wedding. Physically we are inches a part, but emotionally I am light years away. Loss is familiar to me. I have lost my mother. I have experienced loss, heartache, and pain. At twenty-six years old, in the trenches of despair, the unhealed places in my heart remind me that in my life, people die. In the despair, I cling to my learned behaviors of both apathy and cynicism. In the car, I don’t even know how to cry. I just stare coldly out the window on a gray September day. My thought life untamed and free to continue the severe beating it started hours before in the bathroom stall. Once I find myself in an ultrasound room, my doctor confirms, the baby I once carried no longer has a heartbeat. My husband is visibly upset. I now, emotionally comatose. The pain and loss of my miscarriage very real. But the pain and hurt of years past and learned behaviors enable me to be numb to the pain. I barely scratch the surface of my pain over this life, precious to me, lost. I pull up my bootstraps and carry on, looking for silver linings but always wondering about the child I lost while I was the girl slicing and serving wedding cake. Always, even in a room full of people, feeling alone in this part of my story. Always wondering what it would have been like to have held that baby in the spring of the following year. Eight years have passed since I lost that baby behind a banquet hall table while slicing and serving wedding cake. Eight years, a second miscarriage, and then three healthy babies born. Babies I have held, four total, if you add that baby with my husband in the crowd beyond the table on that day. Four babies I have nursed, disciplined, potty trained, and walked to the bus stop on gray September days. My heart still breaks when I think about that September day eight years ago when I was behind a banquet hall table, the girl slicing and serving the wedding cake. How I not only lost a baby that day, but also in that loss how my rote behavior was to retreat to a dark stall, a place where all I felt was loneliness. Loss does that to you, I know that too well now. Loss is a shame breeding ground for I am alone in this lies. Loss, a shame breeding ground for no one else will understand anthems. As I think about this moment, and prayerfully consider this painful moment in the life of a woman, there are three things I know now in hindsight that I wish I would have known then as the girl slicing and serving wedding cake behind the table in the room of a banquet hall. 1.) You are not alone in your loss. Satan wants you to feel alone. Satan wants us to feel disconnected from the ones who breathe life back into our souls. In loneliness, Satan’s power over my own patterns of self-destruction were at work. In my loneliness, I heard the lies I believe loud and clear, and the hope of the gospel was a faint whisper. 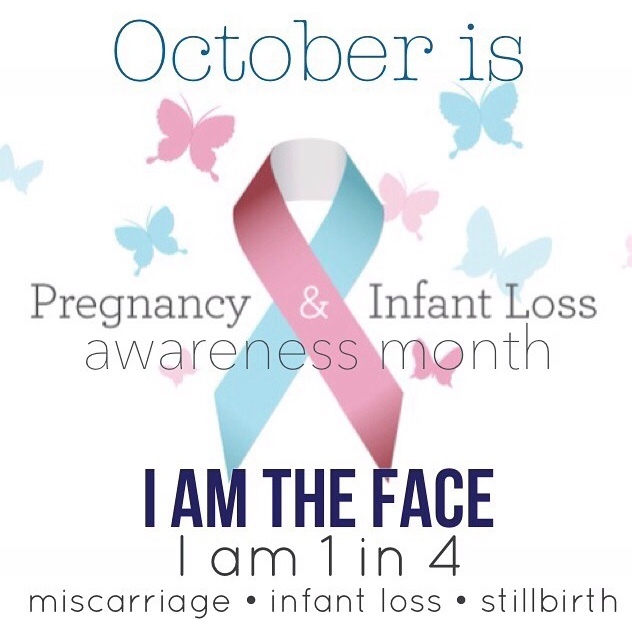 Statistically, one in four women will experience pregnancy and infant loss in some form or another. The more I stepped out of my dark bathroom stall of shame and entered into conversations with my husband and other women who have lost babies as well, the more I was able to identify the threads of pain in my story. I was not able to heal from my pain after my two miscarriages until I could identify the threads which were causing pain in the first place. I blamed myself for that baby being lost behind that table. I carried the weight of that burden for so long. For weeks, months, and even years I let my mind wonder, what if I would have not eaten that slice of deli meat, or what if I had not forgotten my vitamin that day. What if I was sitting instead of standing. All these things were too much for my heart to bear alone. I needed others to speak truth to me when truth was a faint whisper behind the loud clamoring of my own patterns of self-destruction. I needed others to remind me, the loss of this baby was not because of anything I did or did not do. When I was the girl behind the table slicing and serving wedding cakes, I needed the courage to step out of the bathroom stall where I took a harsh blame and shame beating, and into the arms of others alongside me. Although I felt alone, I was never alone at all. 2.) Just because you are not alone in your loss, does not mean you are merely a statistic. Just because other women have experienced pregnancy and infant loss does not mean you are merely a statistic. Your story is unique. Your baby was unique. Your pain and your grief journey will be unique. Other women may have shared a similar experience, but other women and their experiences alone, cannot remedy your unique pain. Other women can simply sit in the darkness of pregnancy and infant loss alongside you, while you wait to walk through the stages of grief in God’s healing time table made uniquely for you. It is normal to experience shock, denial, anger, and sadness in the wake of pregnancy and infant loss. It is emotionally healthy to let yourself grieve. Vulnerability is strength. Tears are strength. Holding fast to the hope of the cross is strength, especially when the answers to the why and what if questions of life seem to go unanswered. 3.) I know a God Who knows suffering understands the pain of loss. When the truth of the gospel is no longer a faint whisper, I can remember I know a God Who knows suffering and loss. I know a God Who sent His own Son to die on the cross. I know a God Who experienced separation from His own Son. This is how I ultimately find true healing, by drawing near to the One Who knows suffering. This healing doesn’t come at the snap of a finger, nor at the pulling up of a bootstrap. This healing is a slow unraveling of my unbelief as I draw near to God in prayer, and read His promises to me in His Word. This unraveling is messy, jagged, and unorganized. This is the kind of healing that comes from brokenness, when I have no clean and clear answers, but simply open and needy hands. This is a sliver of my pregnancy and infant loss story. There are pieces here I still have yet to uncover as I walk in this life. But I truly believe there are deep healing powers in the gift of opening up the chapters of our lives and letting others truly see us. There is healing power as we share our story and healing power as we listen to the unique stories of others. The more we open ourselves up and let ourselves be seen, the more we realize we are never alone.